Posted in: Radio Control. Tagged: Halifax RC Park, RC Racing. “Join us Wednesday August 24th at 1900 for some fun three lap shoot-out style “run-what-ya-brung” racing. Never raced? Don’t worry, it’s all for fun, so no need to be intimidated or worry about having “racing” vehicles and equipment. If you have a 1/8 -> 1/18 RC vehicle capable of driving on dirt you will fit in! The goal is to have regular fun-filled, family-friendly weekly or bi-weekly Wednesday night events at Halifax RC Park (HRCP) and possibly other tracks around HRM. 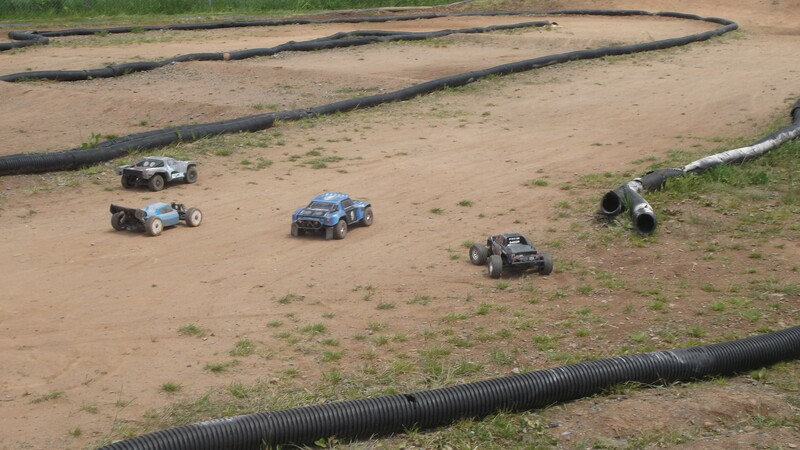 Sufficient numbers permitting, we will hopefully break down the heats into SCT (Short Course Truck), 1/8 buggy and some combination of 1/10 buggy and/or other. More details at Wicked Wednesdays.